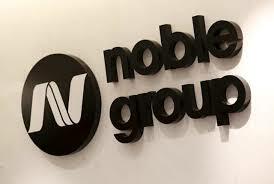 It has emerged that Noble Group, once the largest Hong Kong based commodity trader, has filed for Chapter 15 protection in order to protect its US assets from creditors whilst pursuing a debt restructuring scheme in excess of $3.5bn. The restructuring scheme seeks to de-lever the company and recapitalize it with a combination of new debt and equity as well as a corporate re-organization that includes a transfer of assets to a new Bermudan Holding Company. The company hopes to effectuate the schemes by late November and has a restructuring support agreement in place with its creditors in order to do so. The scheduled hearing in New York is on November 16.